My recent task has been to decide how to display these paper dolls. 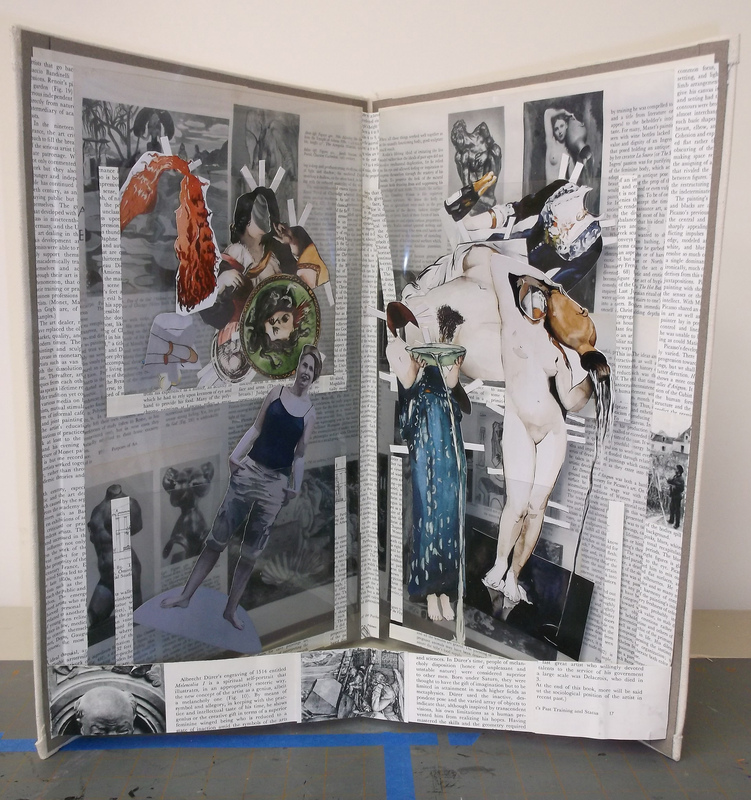 Months ago, I tried making an altered art history book into a popup display for paper dolls. I’m far from content with this prototype, but the link of paper dolls (derived from art history) and an altered art history book strikes me as solid. 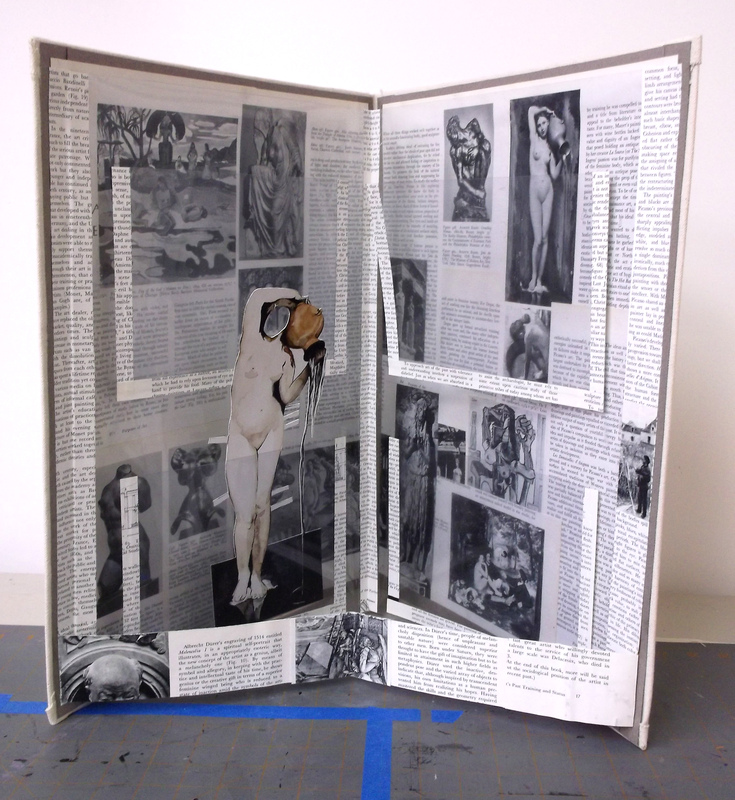 This approach is a hybrid of carousel books and popups. Needs a bit more development.